Early Childhood: What is communication? This assignment reminded me of my college counselor. Her name is Laurie Wilson and she was a great listener, calm, and peaceful person to have conversation about any topics. Her words of encouragement and her non-verbal facial expressions, gestures always made me feel very comfortable to share my feelings. She was a great listener and understood student’s problems without even much of explanation. We always had effective communication. One of the qualities that I would like to follow her is the way that she undertakes other people’s perspective and explains things in a very calm manner without any stress. I can tell that she was a great listener. She listens to students’ conversation not to reply but instead to understand what each student have to say or share. 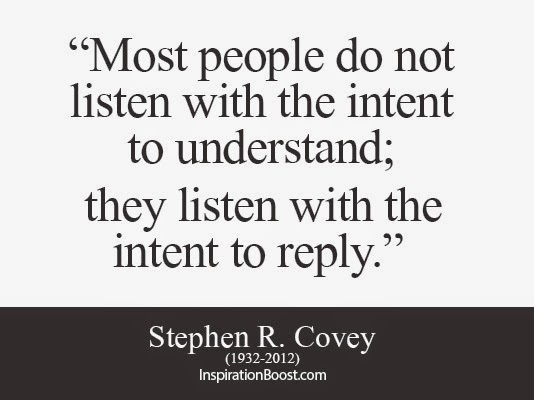 This is one of the many qualities that I would like to apply in my own life and be a great listener too. Becoming an active listener is so very important when working with young children. When a child believes he or she is being heard it builds strength in the relationship and trust. Kids need to trust adults in their lives and trust themselves. This is a worth skill to develop. Hi Lhakpa! Great Post! I think that it is always great to have at least that one someone that you know listen to understand and is a effective communicator. Communication is so important in everyday life, and in the early childhood field I think that it is really important when working with children, you are their first teacher and can help develop those effective communication skills. Lhakpa! Wonderful post! Being a good listener takes great skill. Many times people need someone who does just that. There are children and families who are in need of services but if we just keep shoving information at them without listening we are doing them a disservice because we haven't listened to their need. And most important listening does not cast your personal opinion about someone else's situation. Looking forward to reading more of your post.